Evan Dunham has been a loyal UFC fighter for the past nine years. The 155-pound competitor’s first fight with the promotion was back in 2009, which he won via first-round knockout. 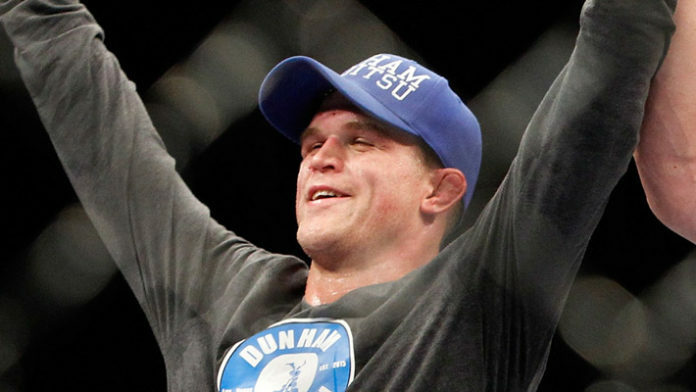 In his mixed martial arts (MMA) career, Dunham has amassed a record of 18-7-1. Out of 27 total fights, Dunham has won 18 – finishing his opponent in nine of those. The Brazilian jiu-jitsu black belt finished six of his opponents via submission and three by way of knockout. The 36-year-old’s last fight at UFC 223 against Olivier Aubin-Mercier was supposed to be his retirement fight. He lost that fight in the first round, just 53 seconds in via TKO. Dunham was transported to a nearby medical facility after the defeat, by way of ambulance. Ambulance rides aren’t cheap, but the UFC was supposed to pick up the tab for Dunham. It appears that has yet to happen, for a fight that happened five months ago in April. Dunham will return to the Octagon at UFC Fight Night 137 against Francisco Trinaldo on September 22nd. He claims this will, in fact, be his last bout. What do you think about Dunham’s comments regarding the UFC never paying his ambulance bill?